Stunning cycling route through the picturesque villages of Waterland and Volendam, including a boat trip. 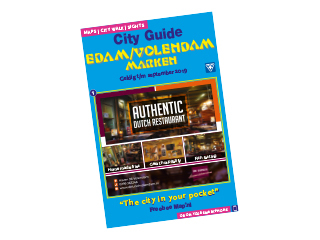 Volendam is a village which is internationally well-known. The regional costume often represents the national costume. While you take a break on the terrace, you are sure to see someone in traditional costume. Cycle on through the low-lying peat meadows of Waterland, and cycle into Edam past merchants’ houses from times gone by. The Volendam Museum is located on the Zeestraat in Volendam: you will never have seen so many cigar bands. On the dyke, you can visit the Cheese factory where you can see a demonstration of cheese-making and sample cheese. Can you honestly admit, do you still remember how cheese is made?